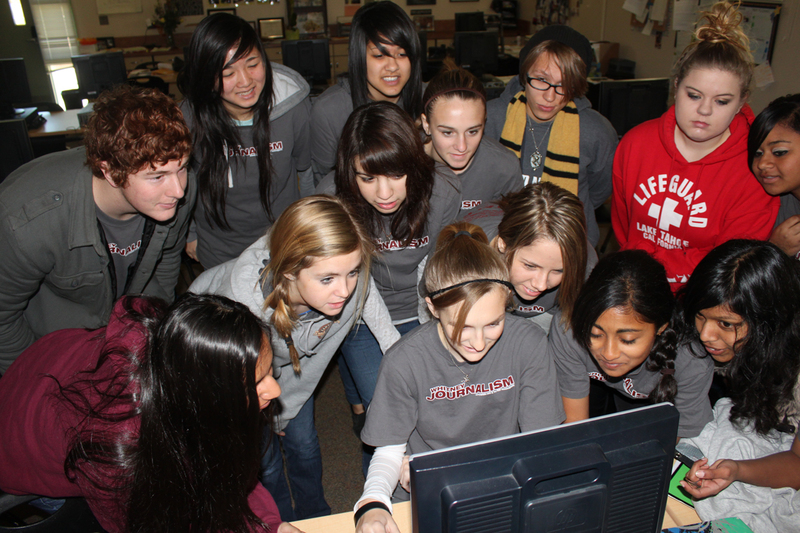 Whitney High journalists (Calif.) take the Tao of Journalism pledge Feb. 9, 2011. Student journalists who practice ethical journalism and want assure readers, viewers and school administrators of their commitment to excellence, can now go public by taking the “TAO of Journalism” pledge . The TAO Pledge asks journalists to promise that they will be “Transparent” about who they are and how the story was developed; “Accountable” for, and willing to correct any errors; and “Open” to other points of view. This idea, introduced by the Washington News Council, is gaining traction with media organizations around the world. The Journalism Education Association has endorsed the TAO of Journalism Pledge as one way student media can instill trust in their programs. JEA encourages schools and student media to sign the Pledge during Scholastic Journalism Week on Wednesday, Feb. 23 and to invite their school administrators to sign on, as well. Any student media group who “takes the TAO Pledge” will be listed on the TAO of Journalism website with a link to their website. Students can then post the TAO Seal in their masthead and they will receive a poster of the TAO Pledge that can be displayed as a public reminder of their commitment. Once students take the pledge, they need to be sure to follow the pledge to show their schools and their communities the importance of professional standards. • BONUS for student media groups who take the TAO Pledge during Scholastic Journalism Week: Temporary tattoos of the TAO seal for all members of the staff. Click on “Pledge” at the top of the home page.